As part of continuing efforts to provide incentives for members of the Buffalo Soccer Council, the Council is very pleased to announce a new partnership with the WNY Karate Center in Williamsville. Under this new partnership anyone with a Buffalo Soccer Council membership will receive free karate instruction courtesy of the WNY Karate Center. Council members at the Supporter and Member levels will receive two weeks of karate with a free uniform, while Founders will receive a free month of karate with a free uniform. The members must be new students at the WNY Karate Center and this benefit can be used by a member’s child. 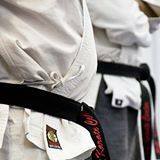 The WNY Karate Center is located at 4209 Transit Rd in Williamsville, New York. It is located in the Transitown Plaza, right behind TJ Maxx. For more information, you can visit www.wnykaratecenter.com or email them at wnykarate@gmail.com. Buffalo Soccer Council memberships are now available and can be purchased at buffalosoccercouncil.org. All members receive benefits in addition to this new offer as well as discounts at all Buffalo Soccer Council events. Win a Buffalo Soccer Council t-shirt!